Size of this preview: 761 × 600 pixels. Other resolutions: 305 × 240 pixels | 1,000 × 788 pixels. current 16:31, 10 June 2014 1,000 × 788 (496 KB) Dbk (Talk | contribs) SE slope of Foel Traian. Looking W. Columnar joints. 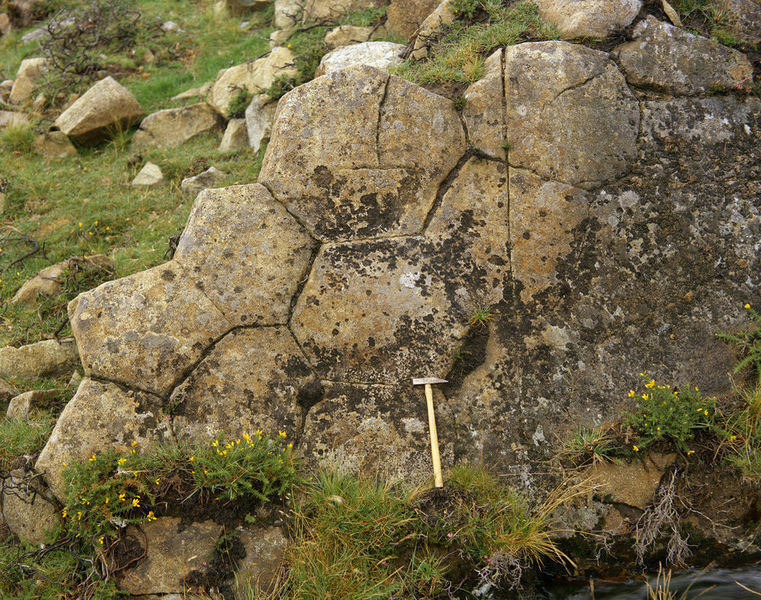 Columnar jointing developed in a dolerite sill intruded between the Allt Lwyd Formation and the overlying acid volcanics. This page was last modified on 10 June 2014, at 16:31.